We found this seafood resto inside Mall Artha Gading in northern part of Jakarta, and we fell in love with this resto for its affordable price and of course the taste of the food! It's a seafood resto where we can choose the fresh seafood from their 'seafood display area'. The price is determined by the weight of the seafood we choose. 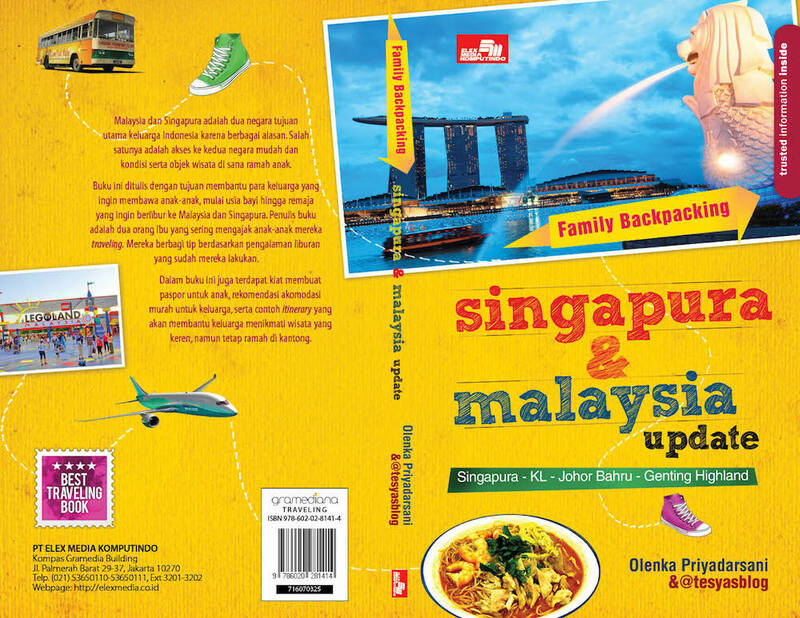 And every 1 onz will be subject to IDR 1,000 for the cooking fee. 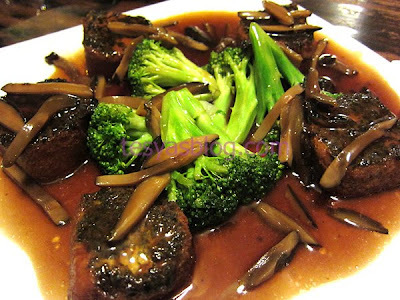 The most famous menu is the steam fish with its hongkong sauce. You can choose the kind of fish you would like to steam. But the most recommended one is the red neela fish. 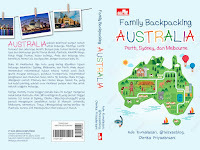 It cost IDR 35,000 for 1/2kg. 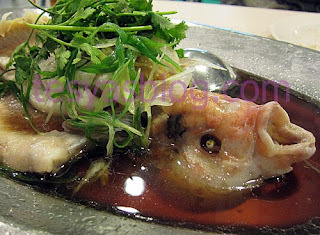 I don't like steam fish, and tried the fried gurame and also the grilled one. They were also yummy. 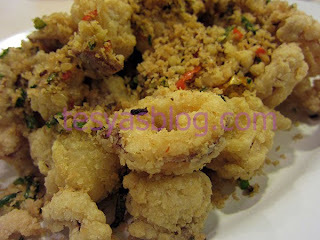 Fried squid is also our fave here, it cost IDR 25,000 for 1/4kg. 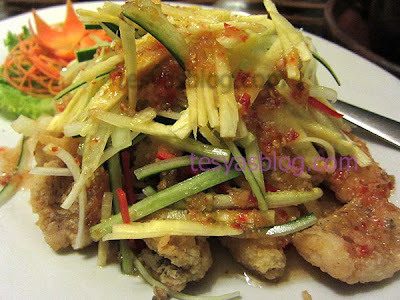 You can have it either fried, cooked with saos padang (spicy one), the one below is the fried crispy squid with salt and pepper sauce. 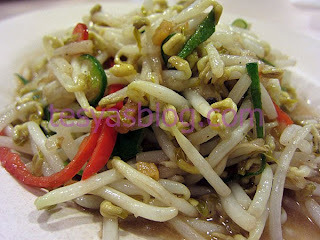 And for the vegetable, we choose salt fish with tauge for IDR 17,500. Enough review on Solo's culinary experience, now let's talk about shopping in Solo. 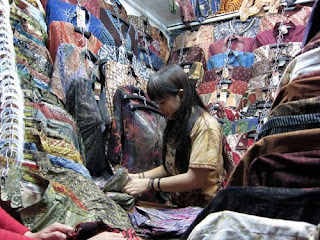 Of course there are several shopping malls in town, but the most famous place to shop in Solo is Pasar Klewer (pasar=market), where we can buy batik, souvenirs at a very affordable price. 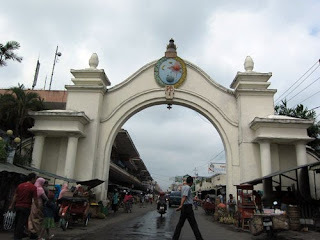 Pasar Klewer located off the west gate of Kraton north's square. It is quite hard to find parking place around the market, so better to take becak or taxi. 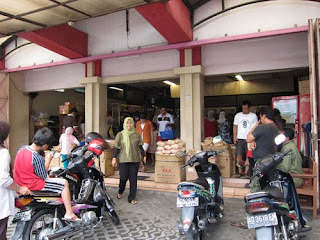 Inside the pasar, there are hundred shop in a narrow passageways. No aircon of course, and we have to bargain. We went in, grab some clothes in the first shop we passed by, and went out the market. It was really hot inside:p I didn't enjoy shopping here, but the long sleeve batik I bought was really nice and comfortable to wear. Actually we can also find Batik shops outside pasar klewer where we can shop comfortably with aircon. But in those shops, the price is fixed and of course more expensive. Especially on those Batik boutiqes having famous brand. Other thing to shop in Solo of course Solo's traditional snacks where we can buy in a shop called Abon Mesran. When we got there, the shop was full (because of new years vacation). We bought intip and brem our fave snacks. 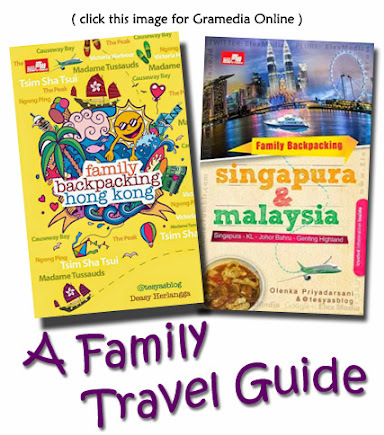 We were confused whether to stay in Novotel or Ibis to spend our new year holiday. 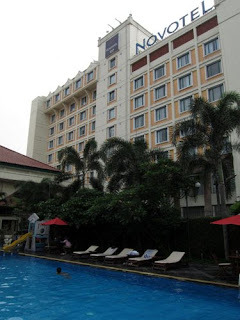 Ibis is cheaper than Novotel, located just beside Novotel, and it is a new hotel. But when we read review that novotel has bathtube in the room, we choose Novotel instead. And of course because of Ibis room is smaller than Novotel's. 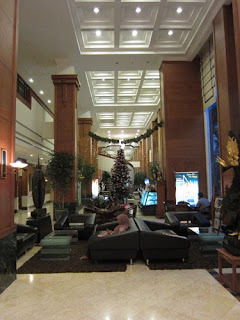 The hotel was still as great as my first visit, however the interior now looks old (both in the room and at the lobby). Especially since the room has no LCD TV inside. 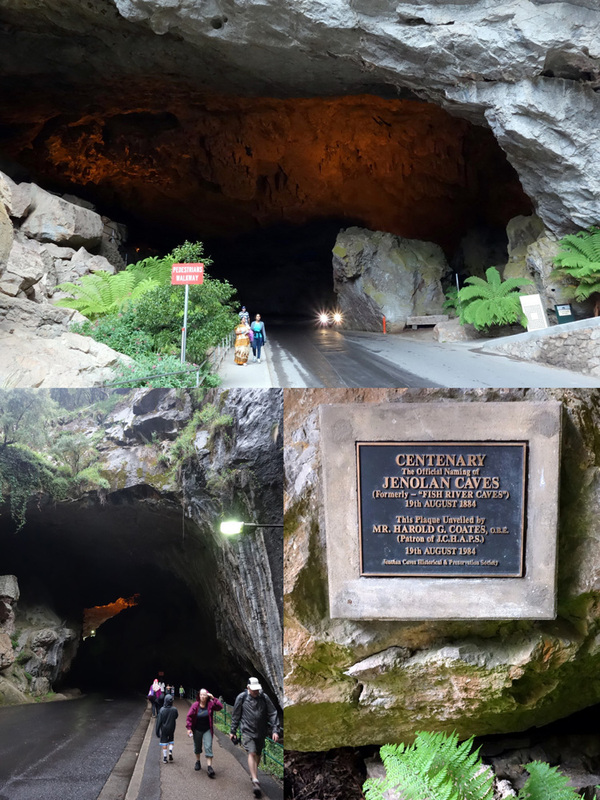 But overall, it still impressed us: friendly staff, comfy bed, excellent location and friendly price. Below is a picture of Ibis, taken from Novotel's poolside. 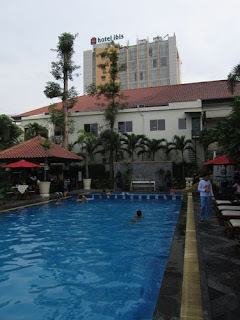 Both hotel share their swimming pool, so guest can swim both at Ibis and Novotel. Finally we tried this very famous Tulang Jambal (how shall I translate it: bone of dried salted catfish? ), which is really really spicy. From what I read, this resto was opened in 2006 and has been one of the top of bandung's culinary food. Me...just heard it a week ago. Unbelievable! And of course we went there directly to have it a try. 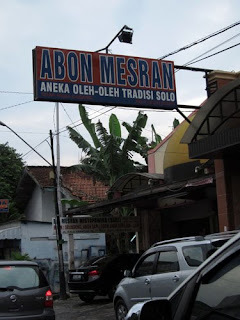 It has three branches, one in Jalan Sumur Bandung, one in Jalan Lengkong and the one we visited was on Jalan Ambon (around Jalan Riau). We arrived at 11.15 am (yes we had it for our brunch:p) and had to wait till 11.30 because the food were being delivered from the other branch. And here it is, the famous Tulang Jambal with rice, tofu and tempe for IDR 21,000. I am telling you this is really hott!!!! I gave up eating it as I don't like spicy food. But frankly speaking it taste good. Really. 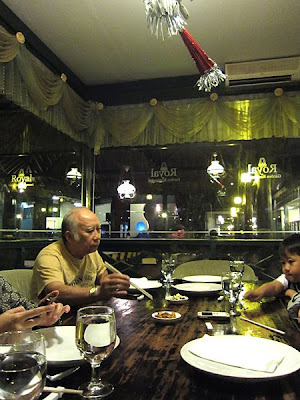 We were looking for a fine dining resto in Yogya through google on the last night of our new years vacation, ended up having dinner at Royal Garden Restaurant. This resto located in front of Alun-alun Yogya. Too bad that night was raining, so we had to eat inside. Actually this is not the kind of resto we were looking for, the resto is quite old, and seems not well maintained. We than asked the waiter for the recommended food. 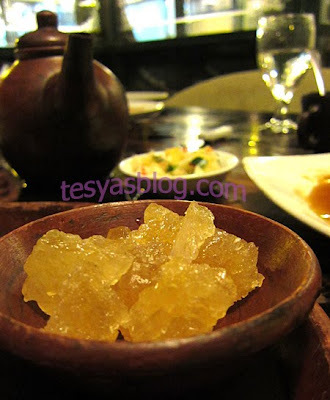 We ordered their Royal Home Made Tofu for IDR 30,000, and for me it taste so weird. 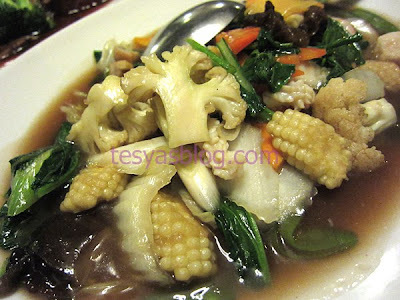 Another food we ordered were Ikan Gurame ala Thai for IDR 70,000 and Capcay (mixed vegetables) for IDR 30,000. Both food taste good, especially the fish with thai sauce. Our parents ordered a traditional drink called wedang secang (I have no idea how to translate it into english:p) for IDR 18,000. After all it was a nice resto with good food, but this one time visit is enough.